Because of the availability and variety of foods in developed countries, protein deficiency is uncommon. However, in developing nations, concerns about inadequate protein are very real. 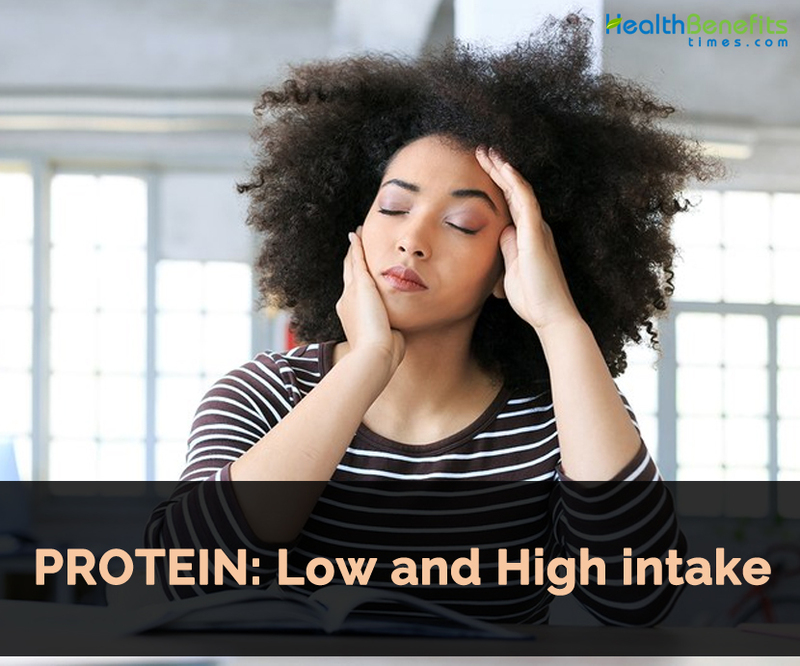 Diets deficient in protein are most often deficient in energy as well, but a pure protein deficiency can occur when food choices are extremely limited and the staple food of a population is very low in protein. The term protein-energy malnutrition (PEM) is used to refer to the continuum of protein-deficiency conditions ranging from pure protein deficiency, called kwashiorkor, to overall energy deficiency, called marasmus. Most protein-energy malnutrition is a combination of the two. Kwashiorkor is typically a disease of children. The word “kwashiorkor” comes from the Ga people of the African Gold Coast. It means the disease that the first child gets when a second child is born. When the new baby is born, the older child is no longer breastfed. Rather than receiving protein-rich breast milk, the young child is fed a watered-down version of the diet eaten by the rest of the family. This diet is low in protein and is often high in fiber and difficult to digest. The child, even if able to get adequate energy, is not able to eat a large enough quantity to get adequate protein. Because children are growing, their protein needs per unit of body weight are higher than those of adults, and the effects of a deficiency become evident much more quickly. The symptoms of kwashiorkor can be explained by examining the roles that proteins play in the body. Because protein is needed for the synthesis of new tissue, growth in height and weight is hampered in children. Because proteins are important in immune function, there is an increased susceptibility to infection. There are changes in hair colour because the skin pigment melanin is not made; the skin flakes because structural proteins are not available to provide elasticity and support. Cells lining the digestive tract die and cannot be replaced, so nutrient absorption is impaired. The bloated belly typical of this condition is a result of both fat accumulating in the liver, because there is not enough protein to transport it to other tissues, and fluid accumulating in the abdomen, because there is not enough protein in the blood to keep water from diffusing out of the blood vessels. Kwashiorkor occurs most commonly in Africa, South and Central America, the Near East, and the Far East. It has also been reported in poverty-stricken areas in the United States. Although kwashiorkor is thought of as a disease of children, it is seen in hospitalized adults who have high protein needs due to infection or trauma and a low-protein intake because they are unable to eat. At the other end of the continuum of protein-energy malnutrition is marasmus, meaning to waste away. Marasmus is due to a deficiency of energy, but protein and other nutrients are usually also insufficient to meet needs. Marasmus may have some of the same symptoms as kwashiorkor, but there are also differences. In kwashiorkor, some fat stores are retained, since energy intake is adequate. In contrast, marasmic individuals appear emaciated because their body fat stores have been used to provide energy. Since fat is a major energy source and carbohydrate is limited, ketosis may occur in marasmus. This is not so in kwashiorkor because carbohydrate intake is adequate—only protein is deficient. Marasmus occurs in individuals of all ages but is most devastating in infants and children because adequate energy is essential for growth. Most brain growth takes place in the first year of life, so malnutrition early in life causes a decrease in intelligence and learning ability that persists throughout life. Marasmus often occurs in children who are fed diluted infant formula prepared by caregivers trying to stretch limited supplies. Marasmus occurs less often in breastfed infants. Marasmus is the form of malnutrition that occurs with eating disorders. Adequate protein intake is absolutely essential to life, but too much protein has been hypothesized to affect the health of the kidneys and bones, and to impact on the healthfulness of the overall diet. For a healthy person, there are no short-term problems associated with consuming a diet very high in protein, but we are still investigating whether the same is true in the long term. High intake of protein intake beyond requirement leads to the production of protein breakdown products, such as urea, which must be eliminated from the body by the kidneys. To do this, more water must be excreted in the urine, increasing water losses. 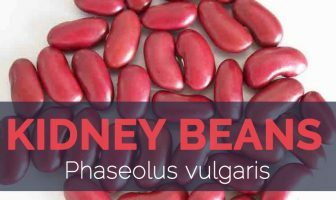 Although not a concern for most people, this can be a problem if the kidneys are not able to concentrate urine. For example, the immature kidneys of newborn infants are not able to concentrate urine and therefore they need to excrete more water than adults to eliminate the same amount of urea. A newborn infant when feed too high protein formula promotes fluid losses and results in dehydration. High-protein diets are considered to be harmful for people with kidney disease. Increase in wastes produced on a high-protein diet promotes the progression of renal failure. Despite this, there is little evidence that a high-protein diet increases the risk of kidney disease in healthy people. It has been suggested that the amount and source of protein in the diet affect calcium status and bone health. For healthy bone, intakes of both calcium and protein must be adequate. There is general agreement that diets that are moderate in protein (1.0 to 1.5 g/kg/day) are associated with normal calcium metabolism and do not alter bone metabolism. However, a high protein intake may increase the amount of calcium lost in the urine. Some studies suggest that the amount of calcium lost in the urine is greater when protein comes from animal rather than vegetable sources. These findings have contributed to a widely held belief that high-protein diets (especially diets that are high in animal protein) result in bone loss. However, clinical studies do not support the idea that animal protein has a detrimental effect on bone health or that vegetable-based proteins are better for bone health.6 In fact, when calcium intake is adequate, higher-protein diets are associated with greater bone mass and fewer fractures. This is likely the case because in healthy adults, a high protein intake increases intestinal calcium absorption as well as urinary excretion, so the increase in the amount of calcium lost in the urine does not cause an overall loss of body calcium. The increase in urinary calcium excretion associated with high-protein diets has led to speculation that a high protein intake may increase the risk of kidney stones, which are deposits of calcium and other substances in the kidneys and urinary tract. Higher concentrations of calcium and acid in the urine increase the likelihood that the calcium will be deposited, forming these stones. Epidemiological studies suggest that diets that are rich in animal protein and low in fluid contribute to the formation of kidney stones. Another concern with high-protein diets is related more to the dietary components that accompany animal versus plant proteins. Typically, high-protein diets are also high in animal products; this dietary pattern is high in saturated fat and cholesterol and low in fiber and therefore increases the risk of heart disease. These diets are also typically low in grains, vegetables, and fruits, a pattern associated with a greater risk of cancer. Such diets are also usually high in energy and total fat, which may promote excess weight gain. Unlike lipids and carbohydrates, people don’t think of protein as contributing to health problems, but for some people, the wrong protein can be harmful. In some cases, this is because a protein in food is recognized and targeted by the immune system, causing an allergic reaction. There are no cures for food allergies, so to avoid symptoms, allergic individuals need to avoid eating foods that contain proteins that cause an allergic reaction. Not all adverse reactions to proteins and amino acids are due to allergies; some are due to food intolerances. These reactions do not involve the immune system. The symptoms of a food intolerance can range from minor discomfort, such as the abdominal distress some people feel after eating raw onions, to more severe reactions.